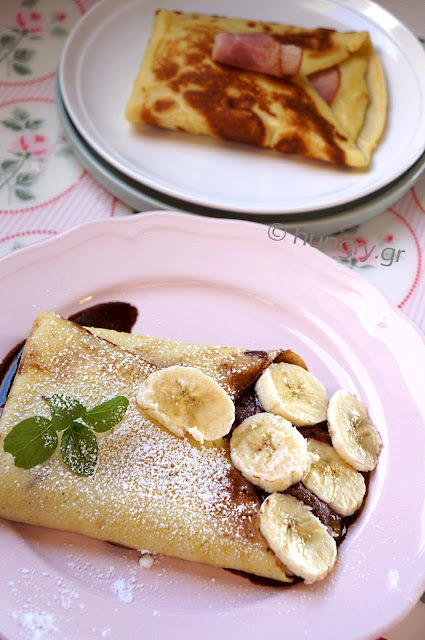 The recipe for crepes is easier to do than what you think, follow the analytic process and enjoy! 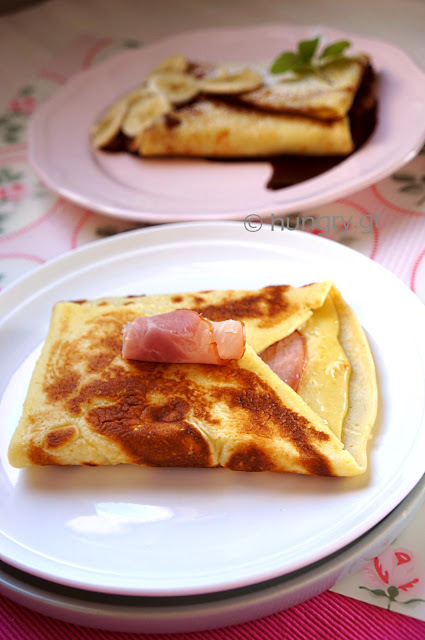 The crepes are considered as French pancakes and can be disguised in sweet or savory depending on the filling. 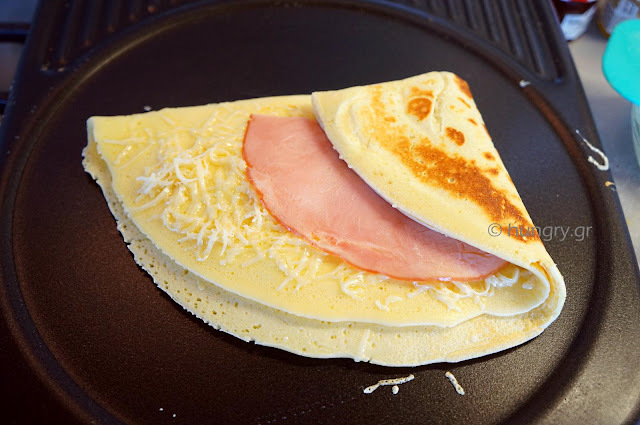 Whatever tasty fillings you choose you will enjoy as in France, where they welcome them with enthusiasm any time of day, at breakfast, brunch, lunch, tea or dinner. 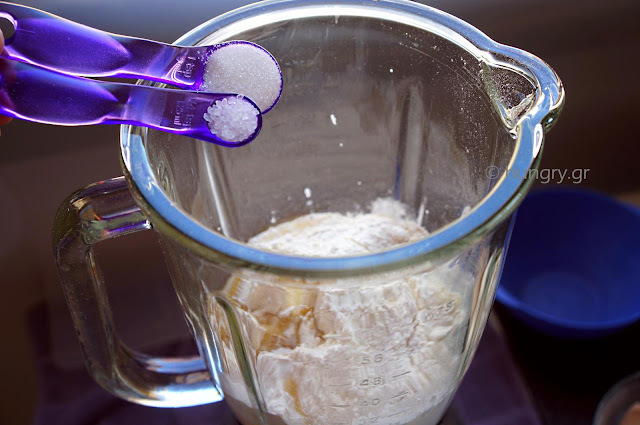 … sugar and coarse salt. 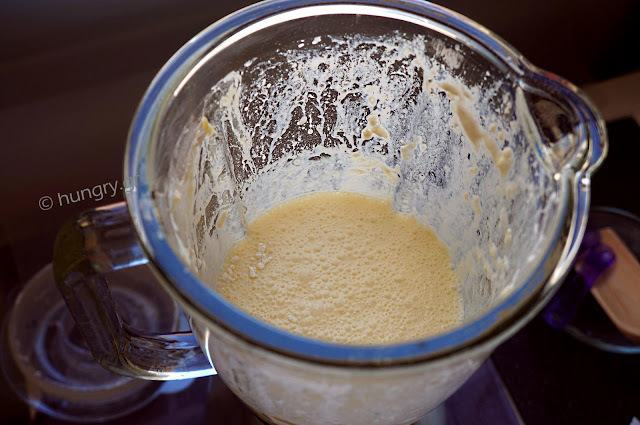 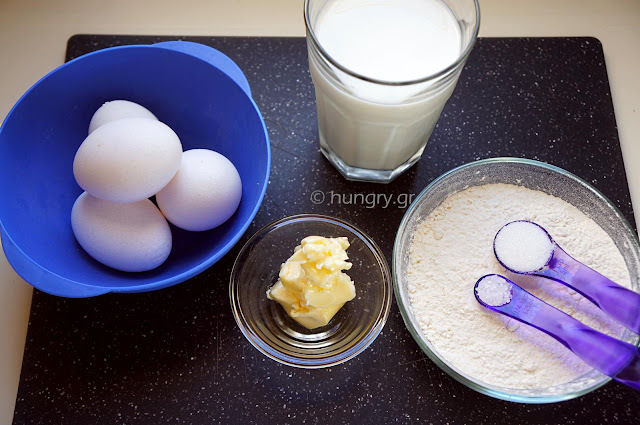 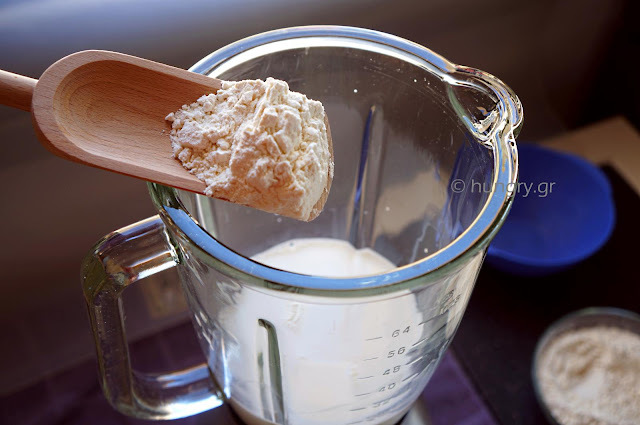 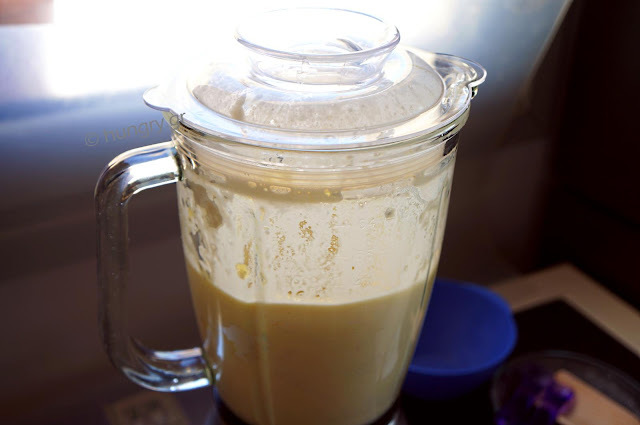 … until the mixture is filled with bubbles and put the blender bowl in the refrigerator for 30′. 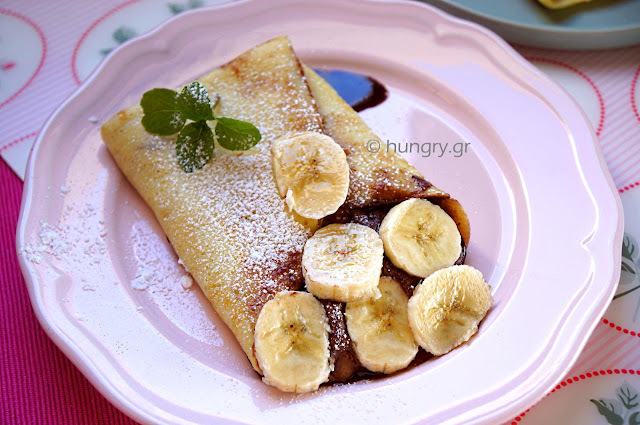 In the crepe machine or in a large frying pan, add a little butter like a hazelnut. 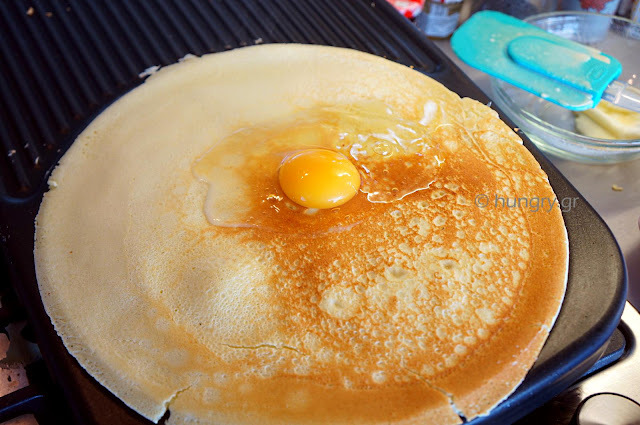 You brush it with a paper towel to the entire surface. 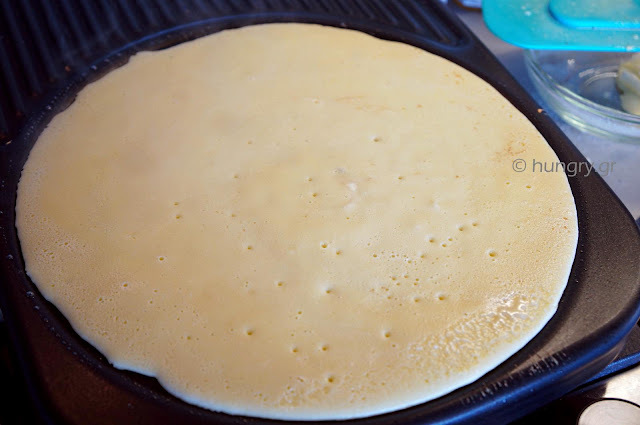 From the bowl blender you empty a bit of mix to cover the base of the crepe machine or pan. 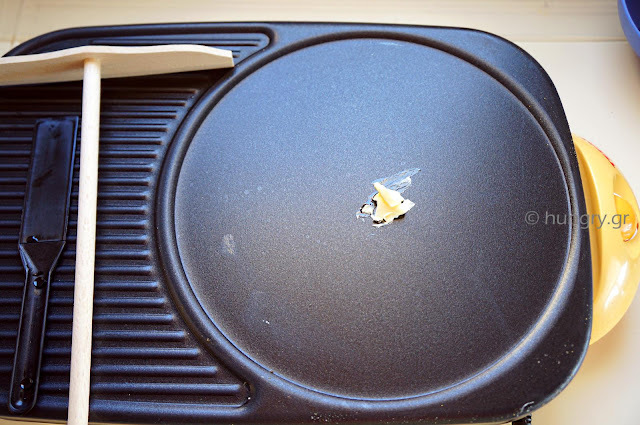 Spread with the special tool or move the pan by the handle for the porridge to go everywhere. 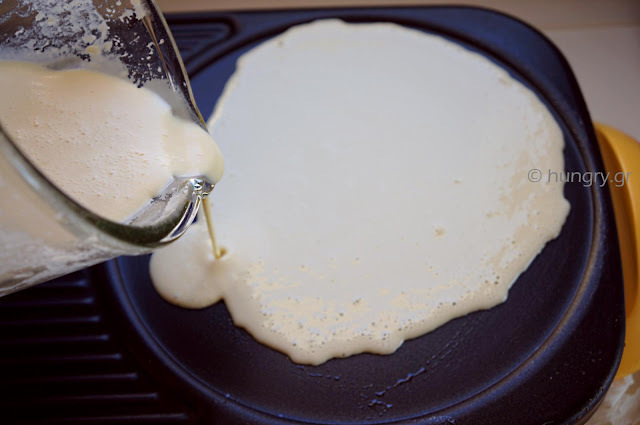 When dry the surface of the crepe turn carefully, with a rubber spatula, on the other side. 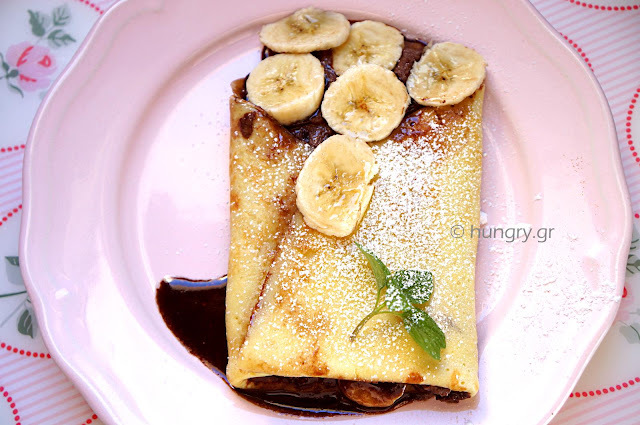 … and with a spatula spread on the whole surface of the crepe. 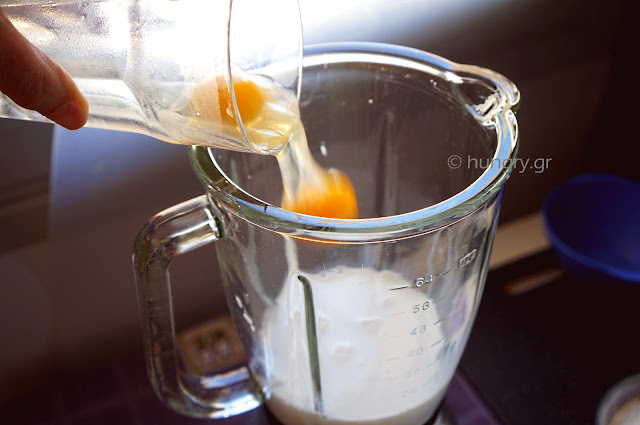 Salt & pepper. 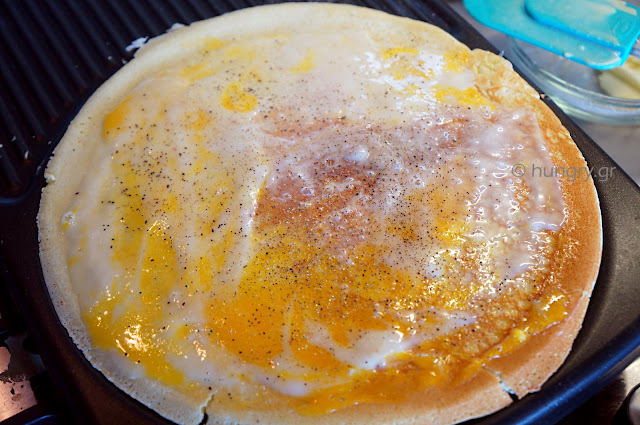 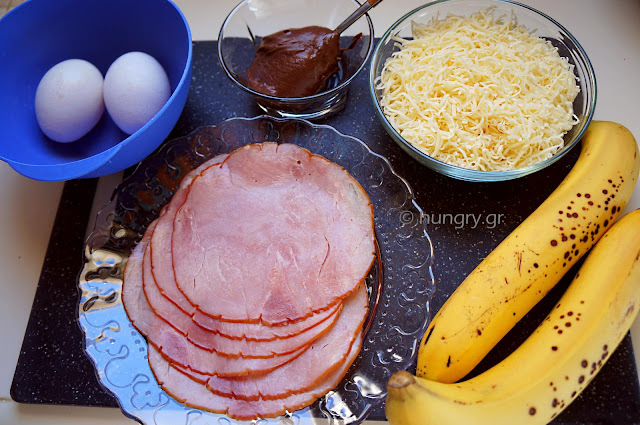 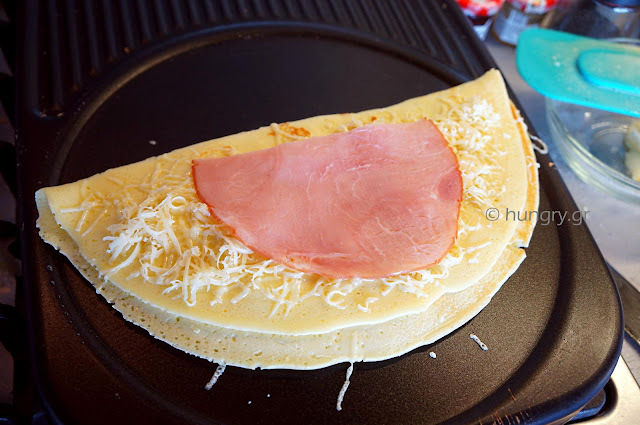 Fold the cooked pancake in two, like a crescent, and add a little grated Emmental and a slice of ham. 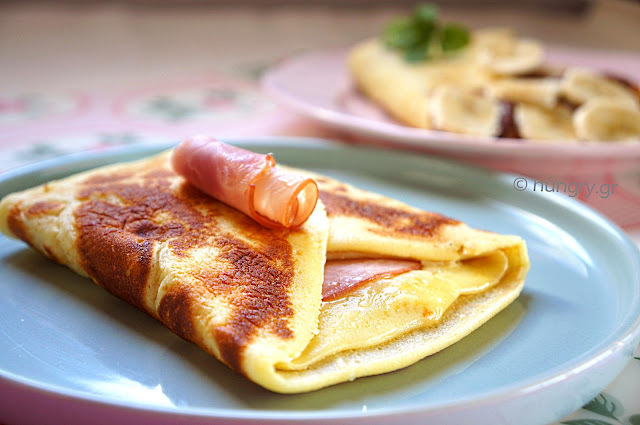 Fold one edge of the crepe to the waist over the stuffing. 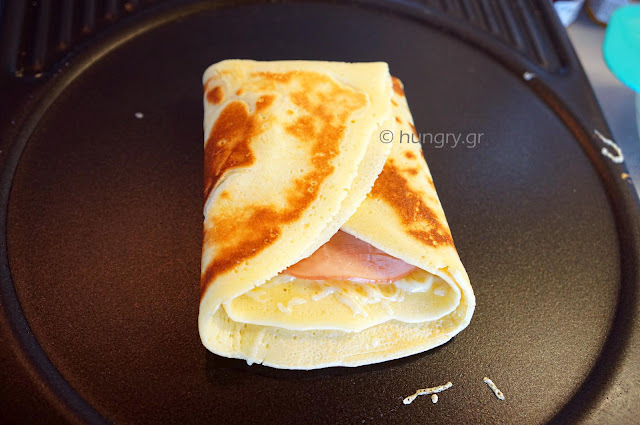 Do the same on the other side of the crepe. 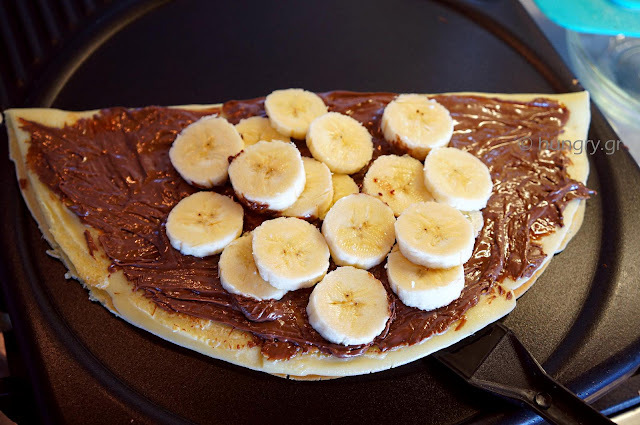 For the sweet crepe: Fold the cooked pancake like crescent and spread the nutella and banana slices in the center. 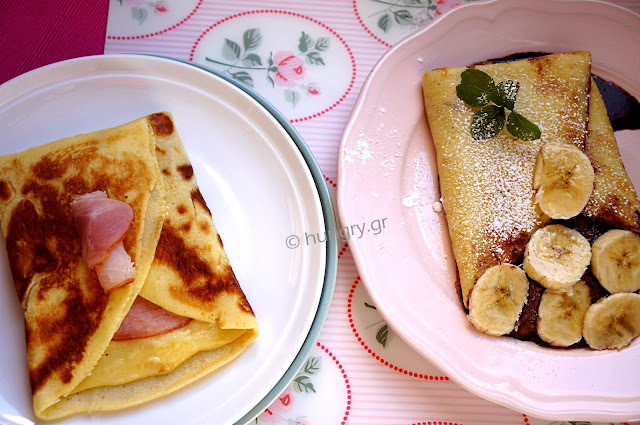 Close from right and left. 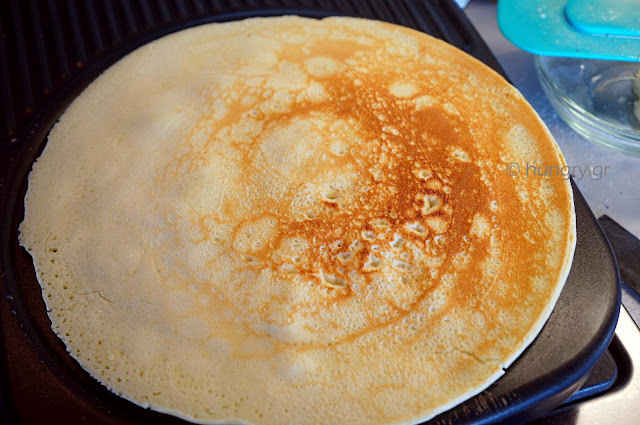 Chinese pancakes with the simplest dough, that may exist. 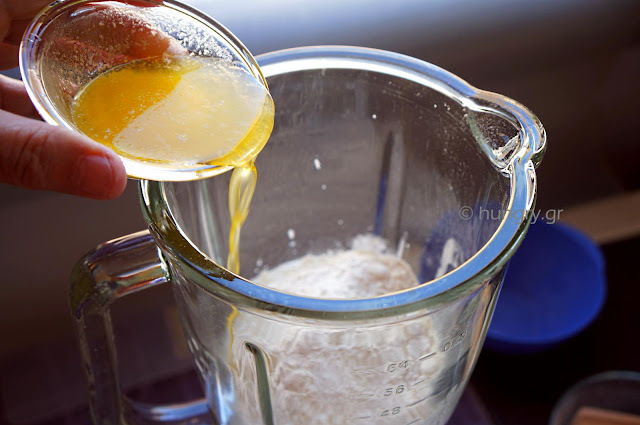 Water and flour! 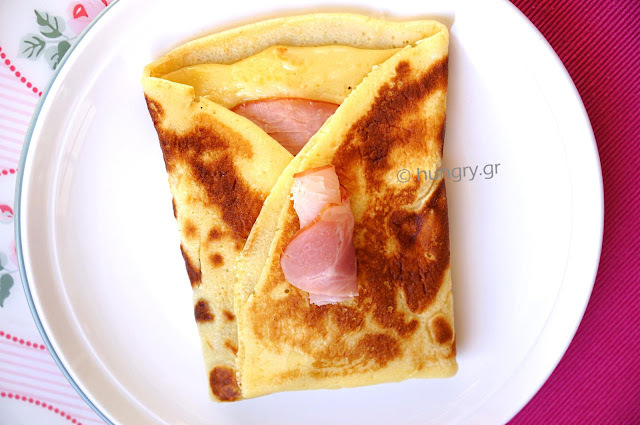 Roll out a thin filo, sprinkle with chopped onions (and sesame seeds, optional), we roll and make small pies, thin pancakes!